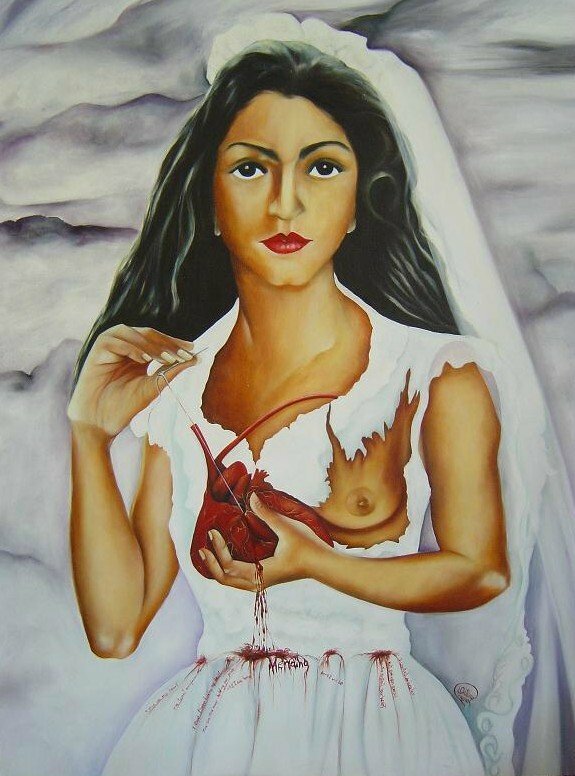 This oil on canvas piece is inspired by the life of Mexican artist Frida Khalo. It is based on a personal experience that created a connection between the two artists, using art and music as empowerment tools for physical and emotional healing. This piece is part of a project called: “Things of the Heart” that has a 3D installation, a hand painted guitar as part of the exhibit that will be used to do a song recital.